The European Committee for Professional Yachting (ECPY) reports a successful Open House and Networking Day in Nice, France, on May 29. 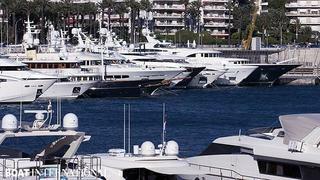 A total of 34 yachts attended and were available for inspection on the harbour's Commercial Quay and Quay Infernet while 10 yachting industry suppliers took advantage of the event to present their wares to visitors. The event brought together hundreds of key brokerage professionals for a day of yacht viewings, a VAT seminar and social celebrations. The next Open Day takes place on June 13 in Nice.